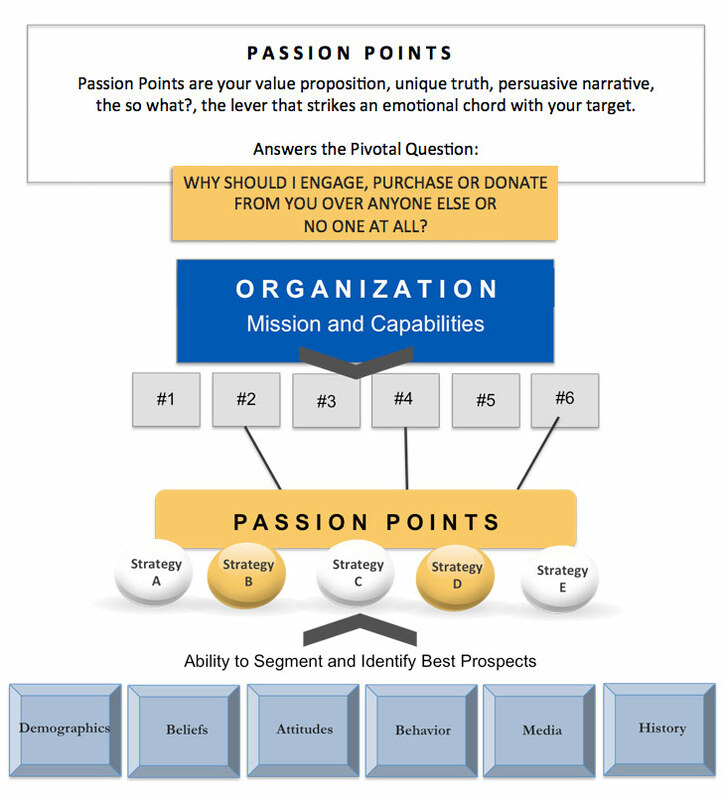 Passion Points are your value proposition, unique truth, the ‘so what?’, the levers that strike an emotional chord with your donors. We test different ways to convey what you do and who you are in direct copy language to understand which ways resonate most with your best prospects and the most compelling way to say it. The key is while important motivating messages with distinct ideas are studied separately, we are also able to understand how these different ideas are linked and later to be woven together into a persuasive narrative. With these insights we develop a communication strategy to use across your various platforms to drive long-term revenue growth.